This unexpected storm has continued to gently shower me with rain all day today. I didn't expect to collect much water since it was such a light rain but when I checked the tanks tonight they had collected 500 gallons! Woohoo! 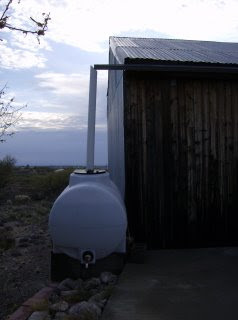 I have plenty of water now and I didn't have to haul it from somewhere else or pay to have it delivered. They are even predicting that the monsoons this summer will be earlier and wetter than normal. I believe the official start date for the monsoons is July 15th so that is 8 weeks away. 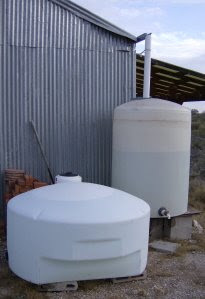 Now I have 1,200 gallons of water and I only use around 50 gallons a week. That means I can give my trees lots of water over the next 8 weeks and not worry about not having enough for doing laundry. 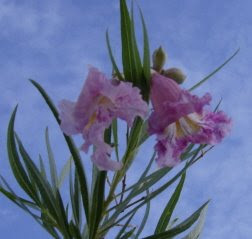 When I was checking my water tanks I saw my first Desert Willow blooms from my baby tree. The flowers can be pink to dark purple. I was hoping for dark purple but these are pretty too. You must have gotten the rain we we supposed to. It has finally stopped raining. This has been a really wet Spring so far. Rain is a nice break from 100+ temps. You are probably tired of the rain by now. Summer is right around the corner! You got our rain delivered. Someone must have really bungled delivery logistics. We had a droughty spring so far, practically no rain for 8 weeks. We used to say, "Rain in May is worth gold." Truer than ever. A bit of good luck, always welcome. Bet the little trees are releived! Beautiful bloom. The desert gatden is coming along. KoBold, I think Arizonans should adopt that saying too! Rain in May is great! It broke the wettest day in May record since 1920. Hi Lizzie, the trees love it. I expect them to quadruple in size now. 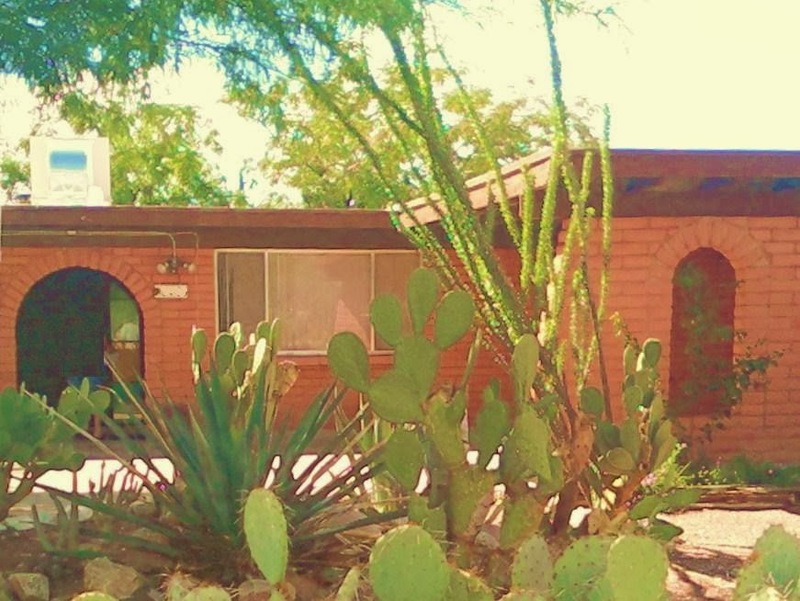 I want my mesquite tree to give me some shade!